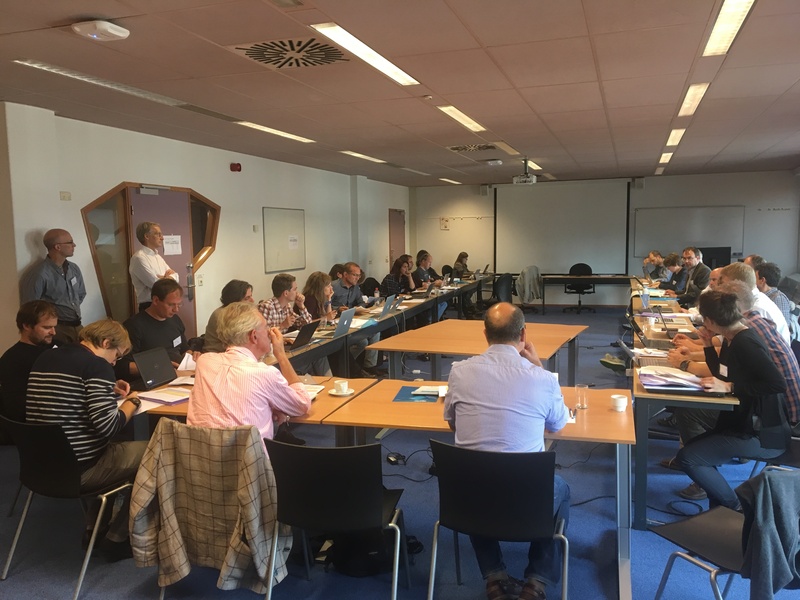 In order to contribute to the development of essential biodiversity variables (EBVs) under the GEOBON flagship, University of Twente, ITC (Faculty of Geo-information science and Earth observation) hosted a workshop under the auspices of GlobDiversity (ESA) and NextGEOSS (H2020) projects. The Workshop aimed to prioritize and endorse the list of key biological variables needed to measure the state of biodiversity (EBVs) that can be monitored using remote sensing data. More than 40 senior scientists and experts from the remote sensing and ecological communities, who had an international track record in theoretical and practical use of remote sensing, as well as knowledge of biodiversity and/or ecological services from universities, private partners, research institutes and space agencies attended the workshop. First, the ongoing essential variables development activities and prioritization criteria were presented and discussed by the scientific committee members of the workshop. Presentations and discussions have taken place on how private-public partnerships may be integrated into global earth observation networks for the monitoring of biodiversity. Next a series of discussions took place in a number of breakout sessions to refine the long list of the remote sensing enabled EBVs (RS-enabled EBVs) that ITC had prepared based on literature and expert opinions. The potential contribution of the candidate variables to assess the 20 Aichi biodiversity targets were also examined during these breakout sessions. Following the global climate observation system, essential climate variables (GCOS ECV) prioritization process, values ranging from 1 (high priority) to 3 (low priority) for feasibility, relevance, and remote sensing status (accuracy and maturity) were assigned to each candidate variable. The workshop was concluded by presenting the final ranks of the candidate variables and discussing possible deliverables such as a policy paper and a special issue paper on the consolidated list of prioritized EBVs that can be monitored by remote sensing as well as preparing an information (policy) note for the convention on biological diversity (CBD) subsidiary body on scientific, technical and technological advice (SBSSTA) to acknowledge the prioritized RS-enabled EBVs.